Pixabay Want to get along in your neighborhood? Then be a good neighbor. There's certainly no shortage of examples of bad neighbors in TV shows and films (think Homer Simpson or any neighbor from “Desperate Housewives”). But what does it mean to be a genuinely good neighbor? Share important information. One of the best ways to welcome new neighbors is by providing them with a “need-to-know” checklist, says Diane Gottsman, author of “Modern Etiquette for a Better Life.” If you know a great housekeeper, handyman, dry cleaner, dog walker or lawn-mowing service, give a sheet with their contact information to your new neighbor. Include suggestions on the best and nearest grocery stores, restaurants and pharmacies. Keep up your curb appeal. Just one ugly home in a community can reduce property values for the entire neighborhood. 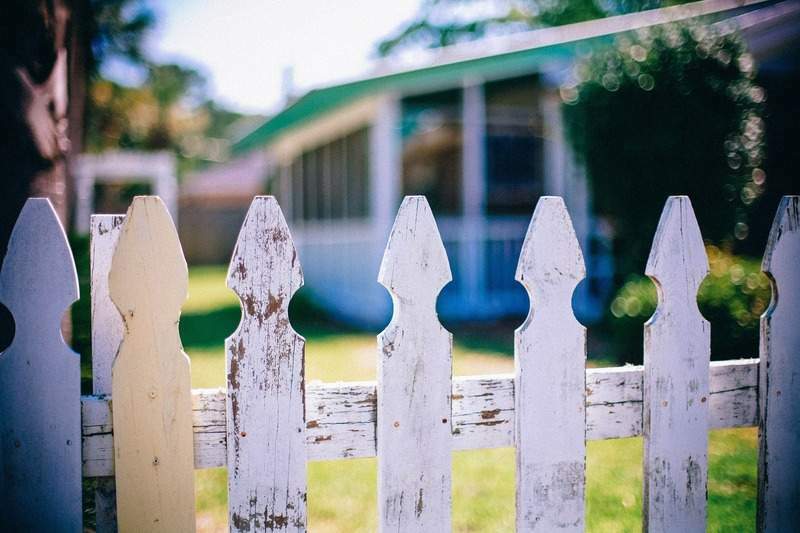 You don't want to become known as the owner of “that ugly house” – i.e., the one with knee-high grass, overflowing gutters, dirty windows, peeling paint or toys scattered across the front yard. “You should be cleaning up the front of your house as much as possible,” says Lizzie Post, co-president at the Emily Post Institute, a Burlington, Vermont-based etiquette-training business. Be a responsible pet owner. “Pets can be a big bone of contention between neighbors, so you need to keep them in check,” etiquette consultant Lisa Mirza Grotts says. Organize a service project. You may want to attend block parties, community cookouts and other neighborhood events so you can mingle and form friendships. But to go an extra mile, suggests Elaine Swann, founder of the Swann School of Protocol, coordinate a community-wide project that neighbors can participate in together, such as decking out your neighborhood's playground for Halloween. Invite your neighbors over. Recently moved in? One way to build rapport is by inviting your neighbors over for a housewarming party, instead of inviting only your friends. Don't be the town gossip. Part of being a good neighbor is avoiding gossip. But, Post says, there's a difference between “good” gossip and “bad” gossip. “If a neighbor's mother passes away, communicating that news to other neighbors so that people can attend the funeral is good gossip,” she explains. Bad gossip, meanwhile, spreads negative rumors. Be a respectful party host. Keeping music at a reasonable noise level when you're throwing a party is common sense. An aspect people frequently overlook, though, is minding where their guests park. “The last thing you want is for your guest to block your neighbor's driveway,” Gottsman says. You also don't want your guests' cars to take up the entire block, which is why Gottsman suggests hiring a valet service to handle guest parking. Abide by community rules. When you live in a homeowners or condo association, you have to comply with the community's rules. Still, a lot of people don't take the time to review their association's rules, Swann says. These rules may dictate parking restrictions, trash and recycling schedules, landscaping requirements, move-in procedures and more. Breaking your association's rules can not only result in fines but also ruffle feathers with neighbors. “It's your responsibility to police yourself if you want to avoid conflict,” Swann says. Handle conflict judiciously. No matter how friendly you are, you may have disagreements or quibbles with neighbors. Handling these conflicts with tact is crucial. Let's say your neighbor's dog is peeing on your garden. Broach the subject by starting with a compliment, and then suggest working together toward a solution: “Duke is such a sweet dog. However, I have noticed that he's been peeing on our begonias, and I would really love to curb that behavior so that my flowers don't die on me.” If you can't resolve the issue one-on-one, contact your homeowners association.